The Dallas-exclusive Link Burger: a cheeseburger topped with a griddled Pecan Lodge jalapeño cheese sausage link, pickles, and ShackSauce. The casual restaurant opens September 1. The first Shake Shack in Dallas opens tomorrow at 11 a.m. in the new park space of The Crescent in Uptown. The casual burger stand and restaurant is known for its all-natural Angus beef burgers, flat-top Vienna beef dogs, crinkle-cut fries, and frozen custard. 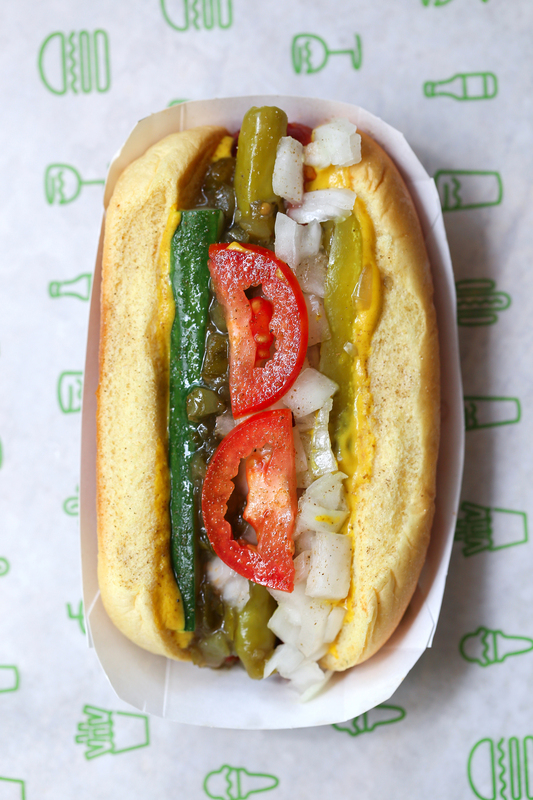 The Shack-cago dog. Photo by Catherine Downes. The Dallas location is rolling out a few local specials. One highlight includes the Dallas-exclusive Link Burger: a cheeseburger topped with a griddled Pecan Lodge jalapeño and cheese sausage link, pickles, and ShackSauce. Other area specials include the Dallas Pie Oh My (vanilla custard and a slice of Emporium Pies’ seasonal pie), Pearl & Pecan (vanilla custard, salted caramel sauce, pecans, and chocolate toffee), and Shack Attack (chocolate custard, fudge sauce, chocolate truffle cookie dough, and a Dude, Sweet Chocolate cocoa nib crack bar). 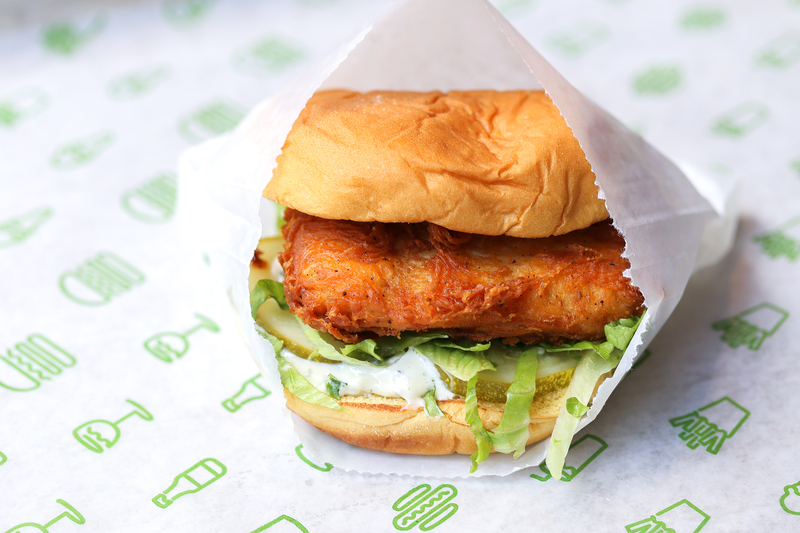 Chick’n Shack: crispy chicken breast with lettuce, pickles, and buttermilk herb mayo. Shake Shack opens September 1 at 11 a.m.